This Friday, April 22, is the 46th annual Earth Day. 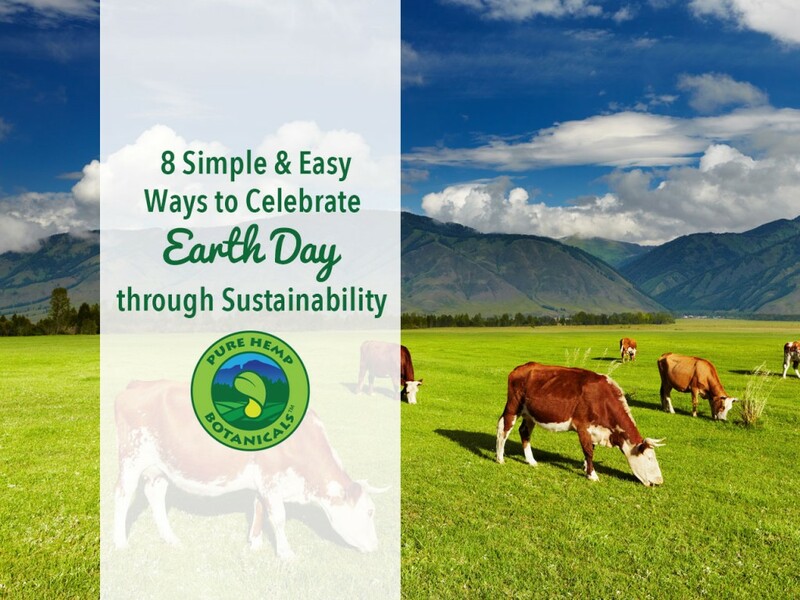 Every year when Earth Day rolls around we are challenged to think seriously about how our habits impact the environment and its inhabitants. Most of all, we are inspired to adopt a more sustainable lifestyle. Making simple and easy changes around your home, and in your daily routine, can have a powerful impact on the planet: protecting the quality of local ground water, helping to slow the growth of landfills, and cutting down on carbon emissions. With all of the information and resources available today, it is easier than ever to practice sustainability. You can reduce the amount of energy you use by 50 percent or more simply by swapping out your old lightbulbs with energy efficient bulbs like LEDS (light emitting diodes) or compact fluorescents. The long useful life of these lightbulbs will reduce the lightbulbs you send to a landfill and save you money by reducing your energy bills. Electronic devices that are plugged in 24 hours a day account for 5% to 10% of your energy bill when they are just in standby mode according the Daily Finance. The devices that are responsible for draining the most energy when plugged in are TVs, DVD players, laptop and desktop computers, modems, cable TV boxes, stereos and radios, iPods/iPads, tablets, coffeemakers, lamps and toasters. Many of us already know that unplugging these electronics and appliances when they aren’t in use is a simple way to reduce our carbon footprint and save money. However, many of us don’t unplug these devices because of the hassle, fear of misplacing a loose charger, or similar reasons. Instead of unplugging each individual device, keep these items plugged into power strips that you can switch off when you leave your home. The average America throws away 70 pounds of clothing per year according to The Council for Textile Recycling. What this means is that, on average, 21 billion pounds of clothing ends up in landfills every year. At least 95% of the clothing that ends up in landfills can be recycled. Instead of throwing away your tattered, torn or terribly out of fashion clothing, take it to a recycling center near you. At H&M clothing stores, you can actually get a coupon for money off your next purchase if you bring in a bag of your old clothes. You can find out more about H&M’s unique garment collecting initiative here on their website. Bottled water has an alarming environmental cost from the high volume of litter it generates to the water wasted during the production process. (You can learn all about the environmental effects of drinking bottled water by visiting the Water Project’s website.) If you don’t want to add to the 2 million tons of discarded water bottles already in America’s landfills, invest in a reusable water bottle. Almost everywhere you go in the U.S., you can find a place to refill a reusable bottle. You’ll be able to save money and help save the planet by investing in a reusable water bottle that you can take with you wherever you go. Green cleaning supplies are good for your health and the environment. The cleaning supplies most of us grew up using are made up of synthetic chemicals that pollute indoor air quality, contaminate water, and can cause illness and irritation. The Environmental Protection Agency (EPA) has a guide for buying green cleaning supplies up on their website because of the importance of investing in non-toxic, environmentally friendly cleaning supplies. Today, there are many eco-friendly options to choose from that smell wonderful and are just as effective as chemical cleaning supplies. A couple of weeks ago on our blog, we shared with you some of the best eco-friendly cleaning supplies that we have discovered. If you are afraid that you won’t be able to afford to make the switch, don’t worry! Most green cleaning supplies cost about the same as regular cleaning supplies. Even personal care and beauty products can contain contaminates that pollute water quality and may eventually have a detrimental impact on your health. Investing in natural beauty and hygiene products made from organic ingredients is a smart choice for your skin and the environment. We shared 4 of the top benefits of using natural, organic beauty products on our blog a while back. Whether you choose to adopt a plant-based diet or simply become more intentional about the meat and dairy products you buy, you can make a big impact on the environment by choosing not to support factory farms. “Factory farms” is the term given to large livestock businesses that run their operations more like factories than farms with environmentally destructive practices and crowded, inhumane conditions. Factory farms are one of the greatest culprits in the U.S. of pollution, greenhouse gas emissions, and land clearing. There are many delicious meat and dairy substitutes that you can try if you are ready to transition to a plant-based diet. If you prefer to consume meat and dairy products, consider getting these foods from local farmers or from a grocery store like Whole Foods where you can find information about the farming practices on the package and on their website. In honor of our animal friends, we are donating 5% of proceeds from the sale of Pure Hemp Botanicals products on Earth Day to Mercy for Animals. The price difference between certified organic produce and products can sometimes be off-putting, but there is real value in investing in foods that were grown without the use of synthetic pesticides and herbicides. The toxic chemicals in synthetic pesticides and herbicides are associated with health risks ranging from hormone disruption and asthma to deteriorated neurological health and even death. (If you want to learn more, check out our post Why Organic Matters). When you support organic farmers, you are supporting sustainability because their farming practices are designed to reduce pollution, conserve water, and improve soil quality.